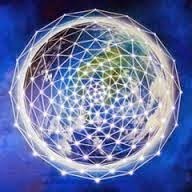 This thread is dedicated to the "Matrix Code", Earth Grids, the works of Carl P Munck, Captain Bruce Cathie, John Michell, Paul Deveraux, Graham Hancock, Santha Faiia, David Hatcher Childress, Joseph Farrell, Thomas Brophy and many others who have researched ancient sites, ley-lines, places of power and sacred geometry. If you are unfamiliar with the Matrix grid, you will discover a knowledge that was possessed by ancient arrivals on Earth, and that the knowledge, in the form of arithmetic, spherical geometry, trigonometry, torsion physics, quantum mechanics and much more, was incorporated into ancient pyramids, earthen mounds, and temples. You will see that this knowledge survived millennia, from the earliest known structures, such as the Sphinx, and onto the more recent structures such as Angkor Wat, and that these structures "talk" to each-other in coded numbers. Many have studied the matrix, but few have delved into the mathematical side of the structures, as Carl P Munck has done. Munck has forensically dissected each structure's location and architecture to find it's encoded information, discovering which sites relate to each other and in what way. The matrix is global and many site's layouts and architecture replicate stellar constellations relative to the sites position, as seen in the Giza layout and the Orion constellation. It is hard not see this matrix as a machine encompassing the entire Earth, a machine that, in historical times, was activated for purposes we can still only speculate about. However, it has to be safe to say that some matrix structures had the ability to tap into, and harness, global and cosmic forces of energy, and many today, are still displaying unique physical properties. Those who have studied the matrix ( I use the word "matrix" to include ley-lines, standing stones, mounds and structures etc), have reached the same conclusion, that whether or not it was a single race of "elites", or separate elite races responsible for constructing the matrix, they all followed the same mathematical principles and measuring systems throughout the world. "Nobody sets out to build 50,00-plus pyramids and mounds around a planet just for the hell of it, or want of something to do. History teaches that these primitive people were hunter-gatherers who spent their waking hours running down their next meals. If that's true, then who built these monuments? These people didn't have the time…(These) things were not built at the whims of medicine men. There was enormous global planning behind it all"
There are some researches, such as Joe Farrell, who speculates that many of the pyramids were constructed and used as weapons of great destruction during an ancient cosmic war amongst the elites, a war that may still be ongoing to this day. Joe has some good books out on the matrix, and his style of writing is such that he references many other researchers work. The next post will contain a tool-box with all links and references. Whilst I am still at a very basic level of understanding of the matrix system, the amount of evidence out there, when put together- the megalithic structures, the ancient texts such as the Vedas describing aircraft and radioactive sites, the volume of sites that show large-scale vitrification, (the "glazing" of lithic structures), caused by intense furnace like conditions, add up to a very knowledgeable race, or races, armed with the knowledge to map out, from the air, the entire Earth and, over millennia, construct a matrix of geometrically shaped megalithic structures,(mss) encoding various dimensions of Planet Earth with an accuracy only achieved by our civilisation a few decades ago. These elites could obviously come and go as they pleased, and records show individual elites visiting many continents, intermingling with an array of cultures, complete with descriptions of their preferred aircrafts or submarines even. I am swayed to the idea that there were at least two groups we could refer to as good and bad, but I have adopted the terms right-hand (rhg)and left-hand groups(lhg). The rhg were a more benevolent group, teaching and instructing, whilst the left were governing areas with fear through religious control with the establishment of the priesthood, monetary systems and sacrifice. All the evidence gathered by numerous researchers runs parallel with much of what T has been trying to tell us all. Even if the geographic time-lines seem erroneous, to astronomical events, many are now of the view that Earth's rocks, exposed to certain irradiation, may in fact produce false radiometric ages, (see Tom Van Flandern's work). So the two big questions that remain is who built the matrix, and why? As mentioned, I was going to hold off from posting this until I learned more of Bruce Cathie's harmonic grid workings, and no doubt, harmonics are the primal source for what has been physically constructed here, and in some cases highlighted, but I'm hoping mathematically inclined members will get involved and we can all put our results here. Use this post to access Matrix researchers and links. There is one rule you will need to follow when working with the matrix. The ancients used the apex of The Great Pyramid as the prime meridian, not Greenwich, so you will need to add or subtract, the 31° 8' 08" difference between Giza and Greenwich. So any sites you are looking at East of Giza, you will need to add that distance, and sites to the West, subtract. So Greenwich becomes 31° 08' 0.8" W, and the great Pyramid's apex, 0° or 360° if you like. In "The Code" part 1, video, Mucnk has put a decimal point in the wrong place for Cuicuilco, it should read 19° 18' 01.052631, not 19° 18' 01.52631, this did my head in for days until Phil located a pdf of Munck's work, (thanks mate), so the attached pdf is important to read through. The pdf contains not only Munck's work, but other researcher's and great links. Munck site. The bookshop is closed atm, as has been for a while. I have emailed Munck with no reply yet, in fact, I don't know if he's still alive. If anyone has any copies of Carl Munck's own pdfs, I would be happy to pay for a copy, they are like hens teeth. Thanks for the awesome thread! I really appreciate the listings you've kindly organised for us to dig into...can't wait to do so...! Thanks unity, hope you get into the matrix and help me out lol, soooo much of it does my head in. 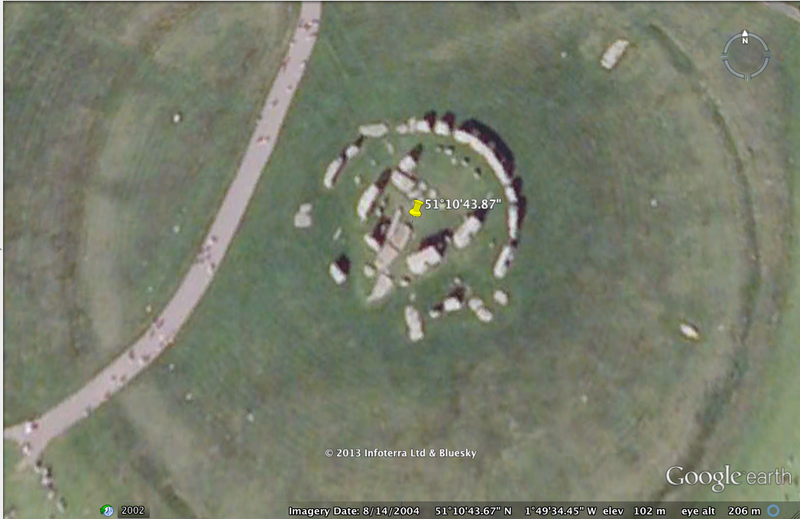 The following is one of the issues I have with Stonehenge latitude expressed by both Munck and Bruce Cathie. Munck states a lat of 51°10'42".35N, Bruce Cathie states in "The Harmonic Conquest of Space" 1998, p.98, "The most reliable information to date on the latitude and longitude position of Stonehenge is Latitude 51°10'40'.54"N, Longitude 01°49'29.032W". 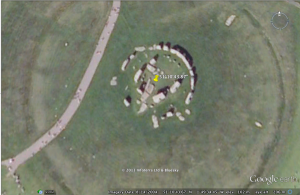 The problem I have is, that whilst I'm starting to trust the code, and can see the equation and answer, shows the centre of Stonehenge Lat , at 51°10'43".87. First thing that came to mind was the possibility that Munck's maps were in a different coordinate system, such as projected, as opposed to geographic cs, but the fact he's using Lat &Long, it shouldn't give diff coordinates, so I have to look into it some. The other question is, why did Bruce Cathie give even further away coordinates that the true Lat? A few weeks ago I posted about GPS stations having moved due to earth-quakes and perhaps, the GE coordinates are now out in some areas of the planet, and another researcher asked the same question I did, have the matrix structures moved to suit the maths at this point in time, or is it just that some plate movement has put the structures back in place, if that was the original geographical location. All sites need to be "ground-proofed", but to do that, we need to find if GE's coordinate are geographically accurate. Do any Chani members live near Stonehenge, and in possession of a GPS? I thought GPS has been corrected over time because of the satellites movements/geological shift on Earth and Earth being Eggish due to the gravitational pull which changes time to time? If so, current GPS coordinates are useless to refer as precise tool, isn't it??... requiring adjustments according to whenever the timing the guys used to come up with those coordinates individually??? Recreational GPSs correct themselves a few times a second with satellites only, and I'm not sure if the following story relates to "differential GPS" (DGPS) which uses "base" stations, as my GPS just relays back and forth to satellite, so I really have to look into why Munck & Cathie had "untrue" coords, to todays GE location, but I don't doubt they were correct at time of writing by both authors. It's a mystery, I mentioned it to my GIS wiz and it could be a bad map Munck used, but I'm sure B Cathie would have thoroughly checked before publishing, he was a commercial pilot, he knew navigation. Mmmmmmm...yes, I see your question...I want to know, too! I started to study about the info, FASCINATING!!! to say the least...but my brain has way too small capacity to grasp the mathematical equations. I can see beautiful line ups of simple TRUTHS achieved by those geometrical formations, and they prove that there were someones who were up there, created all the points coordinated for reason, having brains and technology to actualize it. Lol unity, YOUR HEADS HURT! my goodness, I spent days agonising over how to repeat one of Muncks first equations. It was only when ICSA's told me that when one group of numbers is on top of another horizontally, you divide, I hope you are getting the picture. Another time I didn't believe my calculator for days over a simple (now) equation, and Munck made mistake, that's why I have to learn, I can't just nod my head over such incredible claims. In the past when I've stated that my brain was an academic vacuum, I was not exaggerating, and don't normally put myself down, but, if you guys only knew some of my history. So, that's why I've been holding off posting, and whilst I can now do some basic maths on a calculator, i don't understand most of it still and it frustrates the hell out of me, so don't give up pleeeease, I need your help lol. I need to mention also that in a previous post I said Munck might have had a bad map, I meant a differing coordinate system and don't know why I wrote that, I'm a little "Muncked out" atm. But just play with the numbers, square root things (can do that now too), and as you read it one hundred times and more, little things slowly sink in via synchronicity. Wait till you get into Bruce Cathie's harmonics lol. I'm wondering if the differing Lat coords between Munck, Cathie and GE, could be due just to GE not being able to handle more than two decimal places, when using "degrees, minutes, seconds" which is the easiest way to plot matrix sites on GE, but I'm going to start converting to decimal degrees and see if there's greater accuracy, but Bruce Cathie's coords were quite a way off to the South. It it awesome, and should be taught in school, but then everyone would want the prime meridian put back in it's rightful place and the peeps would really start to understand whats been happening the last millennia or so, and bye-bye preisties and banksters. "It it awesome, and should be taught in school, but then everyone would want the prime meridian put back in it's rightful place and the peeps would really start to understand whats been happening the last millennia or so, and bye-bye preisties and banksters." Here are 2 really well done videos regarding the connection of Giza and other ancient sites that I think this thread would be a good place for. I still need to attempt to dig in with this stuff, not sure I will be able to handle the hard math. as my brain doesnt like it, lol. But Ill give it a go. Also, it seems clear these are part of the grid, but as I have yet not read the works you listed, probably already known, but alas. Yes The great Pyramid is where most matrix sites relates to, this causes me some concern as it could mean that all sites, although built by "opposing teams" had to be placed in certain geographic alignments. And this also could mean that each site has an opposite site (antipode), if the construct has Earth balancing purposes. This is why I'm so interested in the Pacific Spires locale, as it's within 1° EW and 2° NS opposite of Giza, and they appear to be a faceted obelisks. Think I've seen your vids, but will watch to be sure. After watching those videos, I wouldn't be just looking at directly opposing coordinates, Id be looking at Pi and Phi related areas... althought if 3 survey ships zero'd on the area... hmmm!! btw your Pacific Spires thread here at Chani came up on the first page of g00gle. So there are matrix that are like double, opposite sine waves like system going around the globe to counter affect both lines?? Why it was constructed that way I wonder. Why one stabilising alignments couldn't be come up with? Whoever created this incredibly large and precise lines would've known the most simple way to achieve it in one hit, I feel. So in other words, just using one lined-system was not stable enough so they created the balancing alignment...? Or was that the simplest way to achieve stability energy-wise? Speculations upon speculations... Sorry if I'm wasting your brain space!! I just wondered if these 2 lines are actually a singular pattern that bends in "U" formation around the poles and goes back up to opposite direction. I'm sure the matrix had many uses, and all involved tapping into the not only Earth's energies, the basic fabric/harmony of the cosmos, and that there are areas on Earth that receive more of these harmonics due to celestial alignments. And I'm drifting more towards the possibility that the whole matrix system could have been weaponised. But I wouldn't suggest this was their only use. If early races arrived when earth was going through geophysical changes, the matrix may have held things together, which could mean that atipodian sites should be found, but a lot of antipodian sites are in the Pacific or Indian oceans at great depths, and "growing" an antenna by planting a crystal in the depths could be the way. Now we had the entire modern age filled with industrious moles tunneling through the earth, spying on the planet from below. But there had to be something else, another venture the Baconians had set in motion, whose results, whose stages were before everyone’s eyes, though no one had noticed them…The ground had been punctured and the deep strata tested, but the Celts and the Templars had not confined themselves to digging wells; they had planted their stations and aimed them straight to the heavens, to communicate from megalith to megalith, and to catch the influences of the stars. The entire history of science had to be reread. Even the space race became comprehensible, with those crazy satellites that did nothing but photograph the crust of the globe to localize invisible tensions, submarine tides, currents of warmer air. And speak among themselves, speak to the Tower, to Stonehenge…. Thanks always for the heads up, Bot! I am stunned this 'reading' appeared today... what are the chances..
What is true or not .. ?? Q I am curious about the idea of inner Earth and the hollow Earth theory. Are there humans that live permanently down there who used to live above, such as the Mayans? A I do see humans, but it feels completely opposite there in comparison to the surface. The humans look almost like slaves to the alien life that live in earth. I keep seeing the Indiana Jones movie in which there are human slaves underground mining for gold. These slaves are given enough to get by, but overall are worked very hard. The humans look like peasants. The alien life look like insect type people. I would equate their appearance to ants. Insect looking face, texture of their skin has the appearance of a crocodile, and dark eyes. I even see the antennae on their heads. The "ants" talk telepathically to one another, and occasionally make clicking sounds in their throat (sounds like some kind of morse code) to communicate. Their appearance seems so primitive, but their intellect is so advanced. When I try to figure how the humans got there, I see what looks like an Indian Tribe running up to Alaska. What is strange is that Alaska doesn't look snow-covered, or cold. It looks green and lush. It looks like the first human inhabitants of this part of earth were most primitive indian tribes. Then I get an image of these "ants" coming to the surface trough different locations, and doing this motion from their ships that looks like they are "plucking" up random humans. As their current slave force dies, they have to replenish their workers. Q If so, how long have they been there and how do they survive? A They have been there for thousands of years. I cannot put a date, but it feels like forever when I try to view a timeline. It looks like there is a sun in the very center of this hallow earth, and the inner earth spins around it. I see an image of a Gravitron ride at a carnival, as if that is how the people, structures, everything rotates and maintain position. There is its own sun on the inside. A I do not get positive energy from these alien forms. Some aliens are kind, others are neutral, but these feel very cruel. They don't have much regard for human life. They don't get a sense of emotion, everything is handled with a robotic mentality. Q Are there any main entrances from the surface that they use/we know about? A I get that there is one entrance in a huge cavern around Washington state. I also get that in the middle of the Atlantic Ocean there is a very deep crack, and they know how to emerge from there. I have also been drawn to the north pole, but that area functions very differently. It is as if there is an energy field there (directly north) and it can be manipulated to almost "teleport" these "ants" back to the center. I get the most common way for them to emerge to the surface is through this north pole portal. If they want to use the Atlantic Ocean, they are limited with certain phases of the moon and gravitational pull, so this is not efficient for them. Q Will we be living underground in the future? A I see that far into the future by about 200 years. I see that a ET type of war will occur when this happens. I also get that we want to get there for the resources, not so much to live. I see that this area of earth is very mineral rich. Q. Will the inner Earth people (the Agarthans) help with revealing inner Earth or help to bring forth new technologies? A. I can't get a name of this alien life, but I can say they look like ants with some kind of crocodile skin (there is the square pattern / texture to their skin). I tend to fixate on their eyes when i see them- they are like dark holes. I do see they are filled with technology, and are very intellectually advanced. I see them taunting those on the surface with their technology, and we want it so bad with make negotiations with certain governments to trade people (basically turn the other check) in exchange for learning some of their advanced technology. We have something they need, and they have something we want. Thank you. It is 8:55 PM. Two witnesses in Rio Rancho, NM, reported experiencing a "bizarre distortion wave" that moved through the room they were sitting in about 9:38 p.m. on March 31, 2014, according to testimony in Case 55139 from the Mutual UFO Network (MUFON) witness reporting database. "My friend and I were sitting together on the sofa watching television when suddenly a very large, potent feeling, strange wave of some sort seemed to roll silently though the living room from northwest to southeast," the reporting witness stated. The witness described the sensation. "I can only describe it as a large distortion ripple that flowed through the entire room like a tsunami. It didn't seem as tall as the room, but perhaps around 6 feet tall and rounded at its leading edge. During the waves passing through us and the room, I remember seeing a slight distortion as if I were looking through curved glass. It felt as if my friend, I, and the sofa were being lifted up about 12 inches. I remember feeling momentarily weightless (perhaps a second or two) and set back down. It seemed like the couch was distorted upward and us with it, then returned to normal." The two friends immediately talked about what they had just experienced. "'Did you feel that? Was that an earthquake?' I asked him. Never having experienced a quake, I assumed he would reply with a nod. My friend did not. 'That was no earthquake,' replied the California native firmly. Then what was that? That was the strangest thing I've ever felt!" The witness felt as though the direction it came from was evident. "I was very aware of the direction the wave came from and where it was on its way to as it traveled through the house. I also had the perception that its origin was not all that far away, perhaps up toward the Four Corners area?" The two soon experienced a brief amount of missing time. "I picked up my cell phone to note the time. It read 9:39 p.m. My friend just shook his head. His attention turned back to the television and suddenly he uttered aloud, 'What happened to the rest of our show?' I looked up then and realized the show we had been watching, which had a full 21 minutes left, was nearly ending. 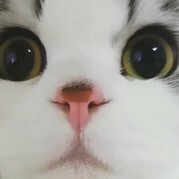 I checked my phone again. It read 9:54. I had just checked it the moment before. Suddenly we both realized that neither of us could account for the missing 15 minutes. Neither of us had any perception or memory of what had occurred during the skip in time." The witness admits having experienced other anomalies in the past. "As a note of honest disclosure, I do have a history of experiencing UFOs and visitors from a few other pretty long distance places. I went through my own personal flap from 1998 to 2002. However, even with that in my background, this was super weird! I'm a professional detail psychic for goodness sakes, so my 'strange meter' takes a lot to set it off to this magnitude." Bizarre! It would be nice to have a few more reports as it had to cross Albuquerque proper going from the NW to the SE, not to mention the airport and Kirkland AFB-- surely more than a couple of folks noticed this. 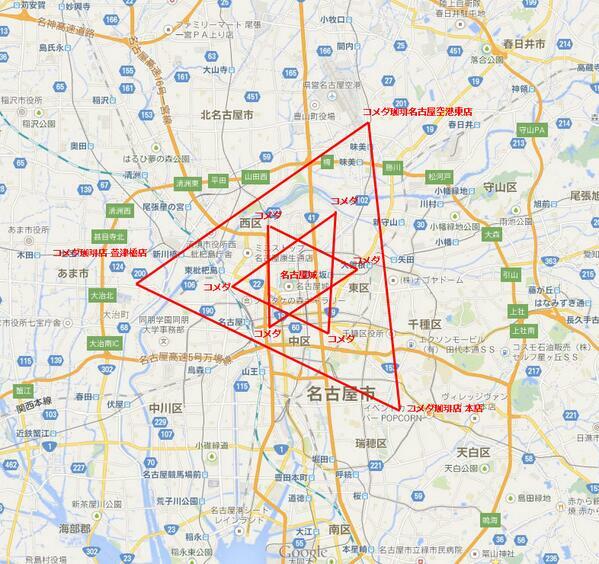 I have come across someone working on sacred geometric formations made intently by humans; in this case, in Japan. This layout was created 1300 years ago in Kinki area (mid area) of Japan. A~E are the locations of main shrines. Nara city, the imperial city back in 1300 years ago locates smack in the centre of the pentacles and dodecahedral concept, and the famous Kyoto, where is also another full-on sacred geometry oriented, Feng Sui wise amazing location falls on the crossing point of A-C and B-D lines. The city engineers and the Onmyo-ji magic protectors knew what they were doing for sure. Then I saw this map work. The above map someone tweeted is special. The mapper used the addresses of the franchise shops of a famous cafe in Nagoya, Japan, to find these shapes!!! The mapper purely wanted to do it for fun, never thought she ends up with this, and she's sharing her find with others on the net. I really don't think this coffee shop branches were intended to be forming such shape at all. But there's something making such shape easier to appear. That's to base the concept on 1/f, Fractal, what the nature has, throughout all of our physical beings. If we have tendency to naturally create the patterns to appear in our "natural preference/being natural" then no wonder the preference tends to show 1/f repeatedly...naturally. I think the coffee shop owner probably didn't think this end result while he organised the locations. But of course, many can use the power of intention to physically create such potent places...like Pentagon building. Here's another one someone else tried to find sacred geometry out of the franchise shops of a grocery shop in Ibaragi, Japan. Of course, on the serious note, there are heck a lot of real sacred geometries being made by Japanese shrines and temples all over Japan. I've found similar patterns in the local city. I think the original shape-which is quite complex-was very deliberate ( a river was diverted) but some shops and points have very peculiar symbolism in their displays and posters and photographs in them. I've thought " they can't be getting together to plan this, can they?!" as the displays relate to what's in other shops in the area. Maybe they are, but I think it's more likely they're picking up on the energy of the place and expressing it. I'll have to do a grid of some the local coffee outlet chains!